The sweet Pendoflex swallowtail trifin that Steve built for Mike M is now in the North East, ready to ride and we’re looking forward to hearing stories. Steve designed and hand-shaped Mike’s board from a special blank with twin cedar stringers and orange glue-ups. 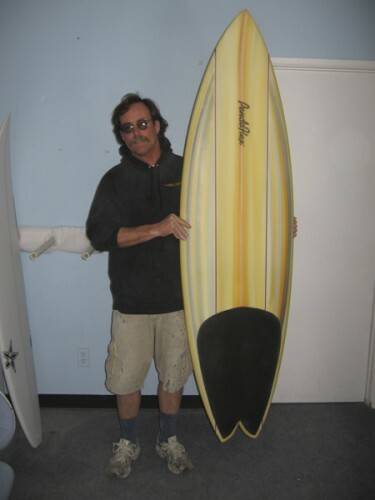 We painted his board with mellow coast to coast sunrise and sunset colors and then Steve glassed it with special care. 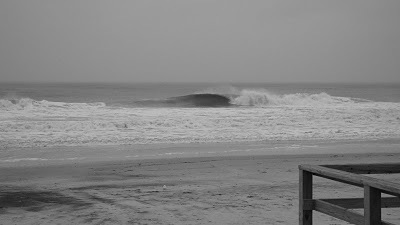 The black and white wave photo was borrowed (with respect) from the Shipworm & Gribble blog, reeling peeler (thanks, Mollusk NY folks). 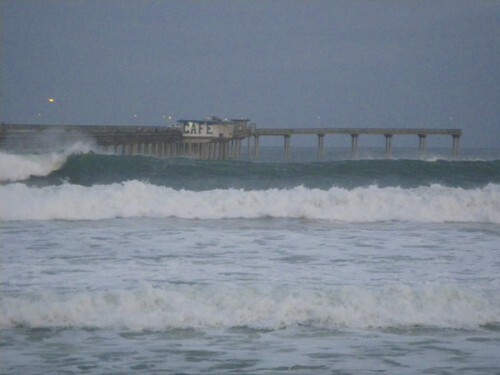 2 Comments on "Sweet Pendoflex swallowtail for MM and beautiful waves"
the 5 10 posted 21 March looking very fine. Thanks for visiting. We enjoy swallowtails, too. The arc tail on March 21 is a custom board for a friend who saw some of our other boards and wanted to try a different tail and foil.